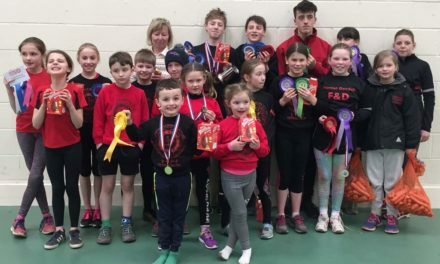 Sun 24th March Mounted Games Training for all. Congratulations and Well Done to Catherine Smith Edwards, Jac and Osian Roberts who have all gained their Mini Gold Badge award for achieving 14 Mini Badges. 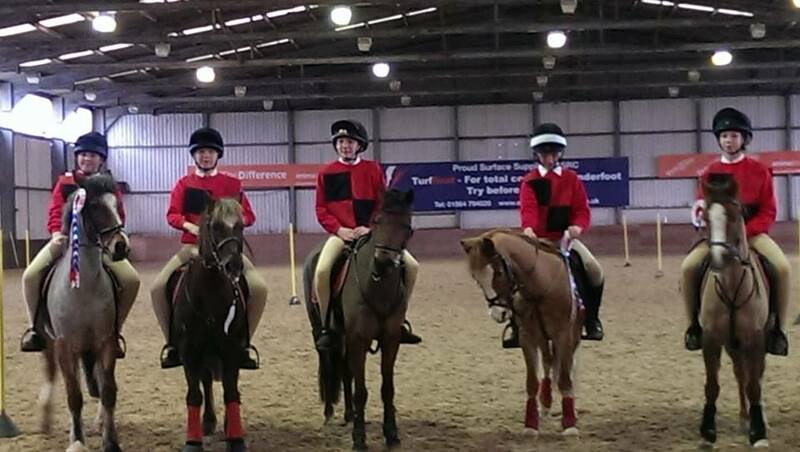 Congratulations to the Senior Mounted Games team who travelled to their first competition of the season in Solihull on Saturday 16th March, which was thankfully indoors! The team of Katie Davies, Cari Jones, Alex Owen, Twm Cernyw and Ellie Richardson (photo above) had to win the run off to get into the B final, and then finished in 2nd place in the final. Thank you to all the members who have replied to the online Poll regarding Camp. It is really helpful to have an idea of numbers at this stage. Plenty of time to get your 3 Rallies done before camp too. There are a few who have not responded and also a few members have not renewed their membership, which was due 1st February. If you are wanting to renew your Pony Club membership, could you please pay online by the end of the week, as I need to return the Annual Capitation Form to PC HQ. 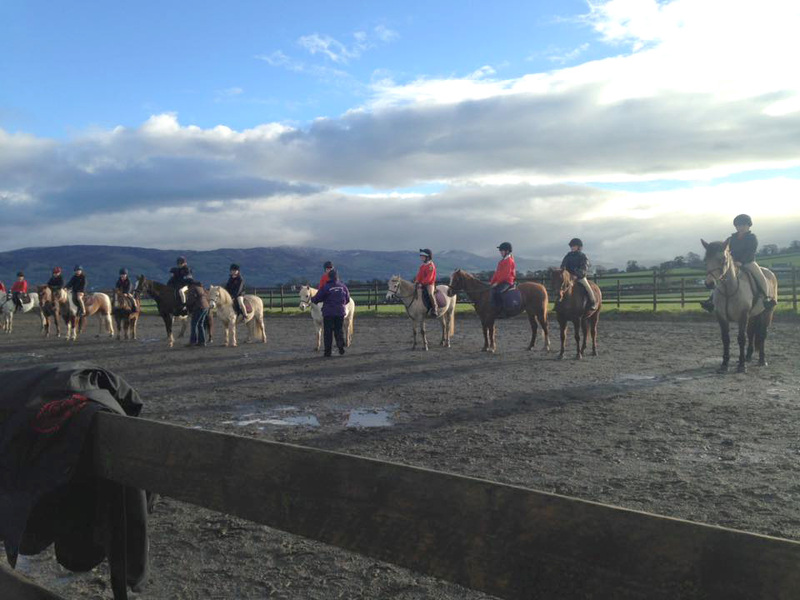 A place has become available for a B (Group of 4) riding lesson this Saturday afternoon at 3pm with Tom Fray from Kettering at Cheshire Riding School, Comberbach. Cost £20. Please contact Meg asap (area5@pcuk.org). We need to know who is planning to sit the B Care Test on 15th April so that we can get on with the organisation of it. It will take place near Ruthin. Please look on the website, find the application form, fill in and send to Debbie Miller (d.clwydfro@gmail.com) or post to Meg Green by 4pm on 1st APRIL. Cost is £50. Please contact Meg Green if you have any problems (area5@pcuk.org). Llanasa still have a couple of spaces on flat rally with Rosemary Clarke at Northop on Monday 25th March. Please contact Jude on 07960 008601 to book a space. It has been pointed out that the wording below (in bold) has been omitted from the 2019 Show Jumping rulebook. The very useful list of BS height/classes which could potentially affect eligibility (on page 53) are correct and can be referred to should you need to. Cheshire Hunt South are holding a CPD evening at Southview on Monday 1st April starting at 6.30pm. Our coach for the evening is Gillian Milner, who is a level 5 show jumping course builder. 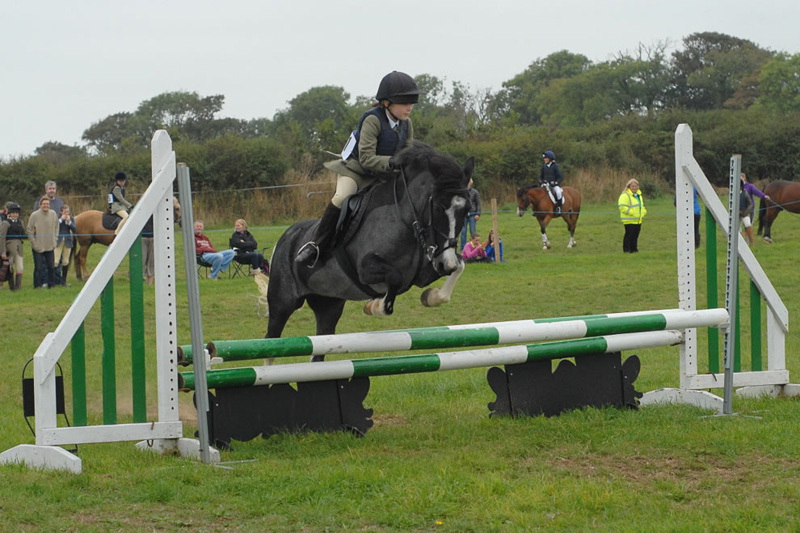 The CPD is on show jumping safety at rallies. Open to Instructors and any older members that might benefit from the evening. There is a charge of £10 pp. Contact Chris Kirby to book (Chris.kirby3@virgin.net).